Aza has never really fit in on Earth. Every day she is fighting to breathe because of an undiagnoseable lung defect. Then she sees a ship in the sky that’s calling her name. Only her best friend, Jason believes that she saw it. When the people from the ship in the sky abduct Aza and show her a life she was destined for, she is faced with life changing decisions. She could stay on the ship, where she can breathe and belongs, or she can fight to return to the family she loves. 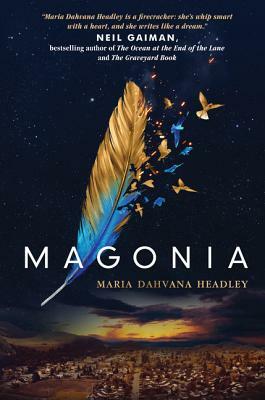 Maria Headley’s Magonia is an amazing story of destiny, family, and love that will take your breath away.